Joseph is using Smore newsletters to spread the word online. 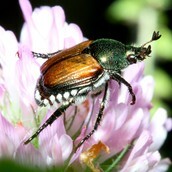 The Japanese Beetle was originally found in Japan, Asia. The Japanese Beetle came from a shipment of iris bulbs prior to 1912, when inspections of commodities entering the country began. 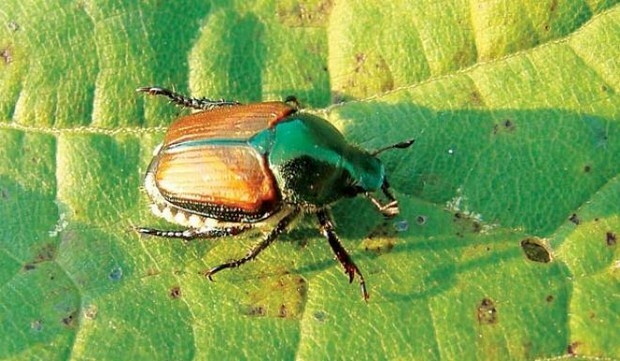 The last time seen was in the summer and mostly found on the Western and Eastern coast of the U.S.
Japanese Beetles are bad for the ecosystem because they will eat crops such as roses, berries, and fruit trees. 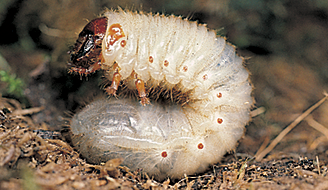 They are also bad for the grass because they lay their eggs in the ground which become grubs that eat your grass. Sentenced to life by death of putting pesticide in the ground for which the beetles will die.